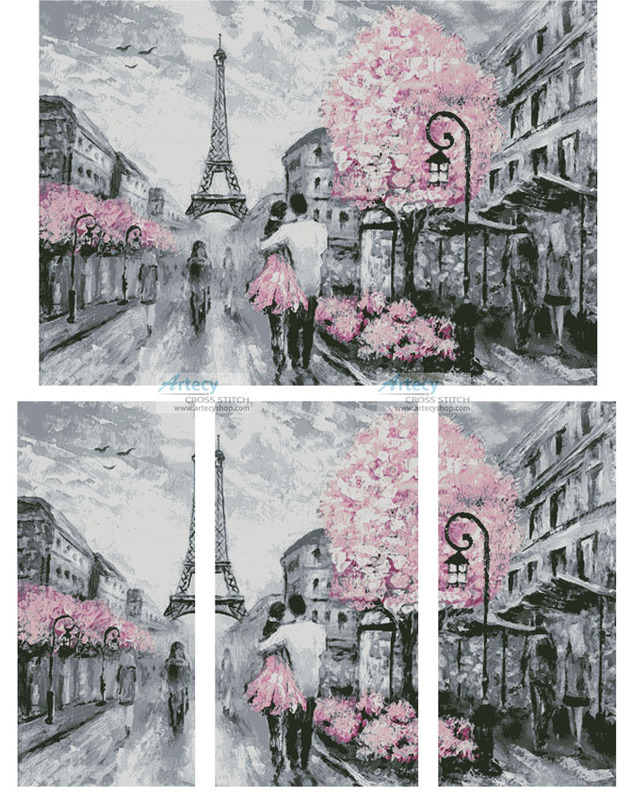 Paris Abstract (Large) cross stitch pattern... This counted cross stitch pattern of a Paris Abstract Design was created from beautiful Artwork by Lisima. You can stitch this design as one picture or as a Triptych (3 panels). Only full cross stitches are used in this pattern.